Divorce can be one of life’s most painful and difficult events. Not only is the process emotionally challenging and deeply personal, but it can also wreak havoc on your finances. While it’s normal to feel overwhelmed and confused during this time, there are important steps you can take to alleviate some of the stress of divorce and ensure that your carefully-planned goals for the future remain intact. A professional lawyer with experience in divorce will help safeguard your rights, your assets, and your wishes regarding everything from custody arrangements to the equitable and fair division of property. Equally important is working with a financial advisor who is knowledgeable when it comes to divorce planning. Depending on individual circumstances, divorce can be very expensive. It can change the entire landscape of your financial future. A good advisor who understands the inevitable monetary consequences of a divorce is better prepared to help protect you by avoiding costly pitfalls. Like any complex transaction, a divorce includes many variables such as the employment status of both individuals, assets brought into the marriage, and provisions for children or heirs, just to name a few. To get a complete picture, take a detailed inventory of all marital assets such as checking and savings accounts, investments, property, and retirement accounts. From a legal perspective, this inventory will help protect you and, at the same time, provide key data for post-divorce financial and retirement planning. Now more than ever, a low credit score can have serious consequences in the form of higher interest rates or the inability to get a loan. It’s not uncommon for parties going through a divorce to stop communicating about money. Obtaining a copy of your credit history will provide a more accurate assessment of the overall picture. More importantly, it will inform you of errors or debt that may have been taken on in your name without your knowledge. There is little recourse if these issues are discovered after official legal proceedings have been completed, so it becomes incumbent upon you to know anything that may hurt your credit in advance. Depending on the percentage of your contribution to your family’s income, your needs may change drastically in the event of a divorce. A household budget is always a good idea, and it is even more important when your monthly income changes significantly. A budget is the best way to give you a clear account of what you need and can help determine fair and equitable amounts for alimony and/or child support, should they apply. It can also help you anticipate shortfalls and plan ways to replace or supplement those funds. It is imperative to establish your own bank and credit accounts during a divorce, especially if the majority of your accounts are held jointly. These accounts should be fully transparent during the financial inventory, as the goal is not to hide assets, but to establish an independent financial identity for yourself, including building your own creditworthiness. When it comes to the tax code, not all assets are created equally. A professional advisor will examine the tax consequences of dividing and/or liquidating certain assets. Of particular importance are your 401(k) plan, pension, any home equity you have accumulated, and investment accounts that may levy large penalties for early withdrawals. Providing for minor children can be one of the most emotionally-charged aspects of any divorce. Issues of custody and the resulting need for spousal and/or child support can dramatically alter your financial outlook. Working with a professional third party can help remove the emotional part of the equation and strengthen your decision-making. It’s quite possible that your financial priorities and designated beneficiaries will change in the event of a divorce. This is a good time to re-examine your will and any other estate planning documents to make sure they reflect your new life circumstances. At the same time, check any active life insurance policies for accuracy, relevance, and need. Financial preparations for young or college-bound children become even more important during a divorce. Some states offer tax-advantaged accounts for early savings, and decisions must be made regarding the fiduciary responsibility and disbursement of these funds. Agreement between all parties and a solid financial plan are keys to success, and this process can be helped by a financial professional. Going through a divorce is stressful. Taking the necessary steps to cover your financial and legal bases can help alleviate some of your worries and ensure that your carefully-charted goals remain on the right course. 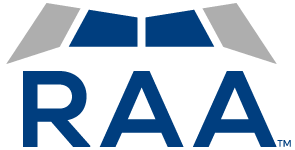 Request a call with an advisor at RAA to discuss how a divorce may affect your specific financial situation.